In our previous articles, we discussed an overview of Flywheel UPS systems and the types of flywheel technology on the market today. Now that we know a little more about Flywheel UPS in general, we can talk about how to best maintain them for optimum performance. We always recommend reviewing any published OEM requirement for your flywheel system to ensure that your equipment is operating at peak efficiency and reliability. 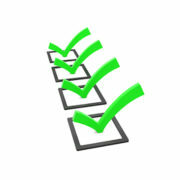 However, for any maintenance schedule, it is important to have a checklist of what needs to be executed and when. The following are a few guidelines to consider regarding Flywheel UPS system maintenance. Depending on the type of system you may have installed, Flywheels require less routine maintenance than a battery UPS unit, as they have no batteries to maintain. Flywheel UPS systems also typically have a longer life in the field. They key behind fewer flywheel maintenance checks is their spinning disk technology. Most Flywheel systems use sealed, frictionless bearings and may require no lubrication and little maintenance, but the bearings often do require replacement roughly every 5 to 8 years. Older flywheel UPS units with mechanical ball bearings require lubrication and replacement every few years, but newer models use magnetic ball bearings housed in a vacuum for a much easier maintenance regimen. As needed: Check vacuum oil level, clean vacuum oil site gauge, visual inspection of unit for damage, review messages on operator interface panel, update system firmware. Average vacuum pump life is approximately 8 to 10 years. The average life span of a flywheel UPS is roughly 15 – 20 years. A Diesel Rotary UPS System (DRUPS) has the unique aspect of a flywheel that is coupled with a generator. As a result, there are additional service items that are similar to a generator maintenance schedule, including coolant and oil changes, filters and batteries. It is important to talk with your service provider to ensure that your maintenance plan is set up appropriately for your application. When it comes to preventative UPS maintenance with a flywheel UPS, there isn’t a great deal to do. The biggest notable is that the unit should be in a clean environment, free of dirt. Minimal preventative maintenance is the clearest positive for owning a flywheel UPS, though the up-front cost is greater than a battery UPS. In a recent study, the average Total Cost of Ownership (TCO) for 15 years for a 150 kVA VRLA Battery UPS set-up with one battery string was $115,000, whereas a 1, 150kVA flywheel UPS set-up for a 15 year term was $95,000. Quite often, companies can see between 20- 40% reduction in TCO from Flywheel UPS units versus battery alternatives. Flywheel UPS units also only need preventative maintenance about once per year, versus quarterly maintenance for a VRLA battery UPS. The main factors that can increase maintenance on a flywheel UPS are temperature and environment. Flywheel UPS have an advantage in that they work well in a larger range of temperature extremes, anywhere from -4F to 104F. Some flywheels have to be cooled with a water pump, radiator, and fans and associated plumbing while others used forced air, depending on the environment they are in. It is important to remember that you can have the best flywheel UPS in the world, but if you don’t have a qualified and knowledgeable technician handling its maintenance, the equipment may not help in the event of a power outage or emergency. Hiring a technician with professional training and a high level of overall experience is key to getting maximum value from your flywheel UPS. Always keep in mind that, with a flywheel UPS system, during some maintenance the system may not be online to support your critical loads. In this series of articles, we’ve discussed systems that couple a battery solution with a flywheel to improve runtime or redundancy, this may alter your maintenance requirement. It is important to schedule preventative UPS maintenance reviews and develop a full-site maintenance plan for any emergency power back-up system that you have. Let our technical experts help walk you through the ins and outs of flywheel UPS maintenance and be a resource to you. Contact us today!